SCENT OF DEATH is an Iberian death metal band – Iberian as in Iberian Peninsula, meaning Portuguese and Spanish. 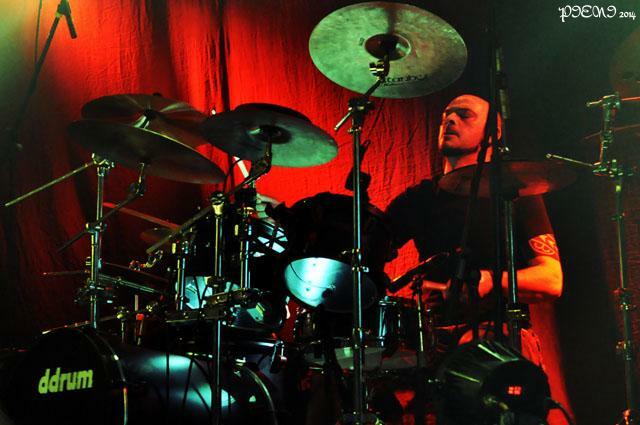 Both singer Sérgio and drummer Rolando had played the night before with their other bands (BLEEDING DISPLAY and SWITCHTENSE, respectively) but they didn’t seem tired at all – Sérgio warned of how brutal things were about to become and the band did keep that promise. They have already two albums out, “Woven In The Book Of Hate” and “Of Martyr’s Agony And Hate”, and by their titles you can already imagine the level of aggression. “Feeling The Fear” was quite a highlight. This entry was posted in Concerts and tagged Bleeding Display, brutal death, festival, Iberian, MMF, Moita, Moita Metal Fest, Scent Of Death, Switchtense, underground. Bookmark the permalink.